Seeing is believing. Now Joanna just has to convince everyone else. 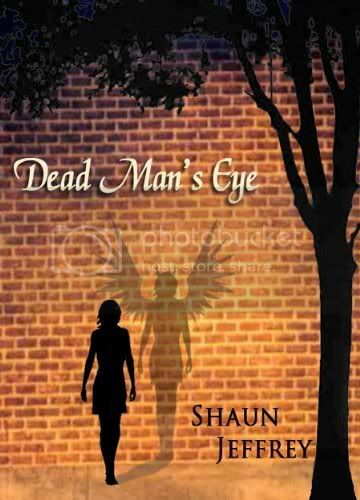 Shaun Jeffrey was brought up in a house in a cemetery, so it was only natural for his prose to stray towards the dark side when he started writing. He has had three novels published, Evilution, The Kult and Deadfall, and one collection of short stories, Voyeurs of Death. He has also had over 40 short stories published in places such as Dark Discoveries and Cemetery Dance. His novel The Kult was optioned for film and shooting has just finished. I really enjoyed this book. I read it yesterday and I could not put this one down. When I first started reading it though I really thought it was similar in concept to the film "Jian Gui" and the American re-make "The Eye," but as I read on it was very different. If you like Thriller/horror and dark novels then I highly recommend this one.